At the EverLine Winnipeg office we install all types of signage for parking lots and properties. We also install a wide variety of bollard covers. At EverLine Coatings and Services, we have specialized crews that can provide sign and bollard cover installation services to protect your property and keep everything running smoothly. 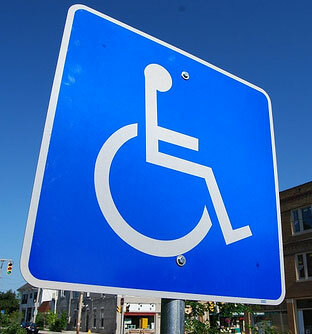 Having the proper signage installed is imperative to the safety of your parking lot and avoiding confusing any motorist that may be using your lot. At EverLine, we can provide you with any sign you may need for your parking lot and offer professional installation services to ensure your signage is safe and secured. Ensure the safety of your tenants, employees or customers by installing the proper signage on your property. Our sign installation professionals have been trained on the latest standards and regulations regarding Manitoba traffic signs. In addition to our professional sign installation services, we also offer professional bollard cover installation services. If you have bollards installed on your property, it is vital to have reflective bollard covers installed on them to increase their visibility and further protect your property. At EverLine Coatings and Services, we can professionally install reflective bollard covers to ensure that they are visible to motorists while they on your property and prevent any damage from occurring. Having reflective covers on bollards ensures that they still meet safety standards while adequately protecting your property. We provide a large variety of bollard covers in different colours and sizes to help you find the perfect bollard cover for your business. At EverLine Coatings and Services, our unwavering commitment to quality and exceeding customer expectations gives us a competitive advantage over our competition. Our CORE quality system is essential in helping us exceed customer expectations. CORE is an acronym for clear scope, operations reports, reach out and evaluate. Our commitment to this system ensures that we remain transparent with our clients and that we always consult them to ensure the work we are doing is in their best interest. At EverLine, we have three fundamental values that help differentiate ourselves from our competition. These fundamental values are constantly innovate, our quality is systemized, and we promise always to answer the call when you need us. Our unwavering commitment to these fundamental values enables us to offer solutions that are unmatched for our competitors. Every one of our clients receives the highest quality of work, and we can work within your schedule to provide that high quality work so that we can always be there when you need us. It is this unmatched level of services and commitment to quality that has set us apart from the competition and solidified us as the leaders of the industry. At EverLine, we strongly believe that it is essential to have the right people for the job. To ensure quality results with every bollard cover or sign installation job, we only send experienced and highly trained crews. We ensure that our installation crews have been appropriately trained to meet the highest of standards and that they know all of the current regulations regarding Winnipeg traffic signs. We accomplish this by putting all of our installers through regular training programs to ensure that they stay current. If the EverLine Coatings and Services sign and bollard installation experts will be completing a project at your Winnipeg property in the near future, there are a few steps you can take to ensure the installation process goes smoothly. First, please ensure that the area they will be installing signs or bollards in has been cleaned of any debris or obstacles that may exist. This ensures they can work without any potential hazards or obstructions. To ensure the safety of our crews, please post notices around the property or parking lot to notify any tenants, employees or customers that our Winnipeg sign and bollard installation experts will be completing the work. At EverLine Coatings and services, we are focused on delivering value to our clients. Because we are passionate about providing the best pricing possible to our clients, we price every project on a per job basis. We take the time to learn about your business, property and the goals of the project to ensure we can deliver results that exceed your expectations and remain within your budget. To receive a free quote on your upcoming project, please contact us.